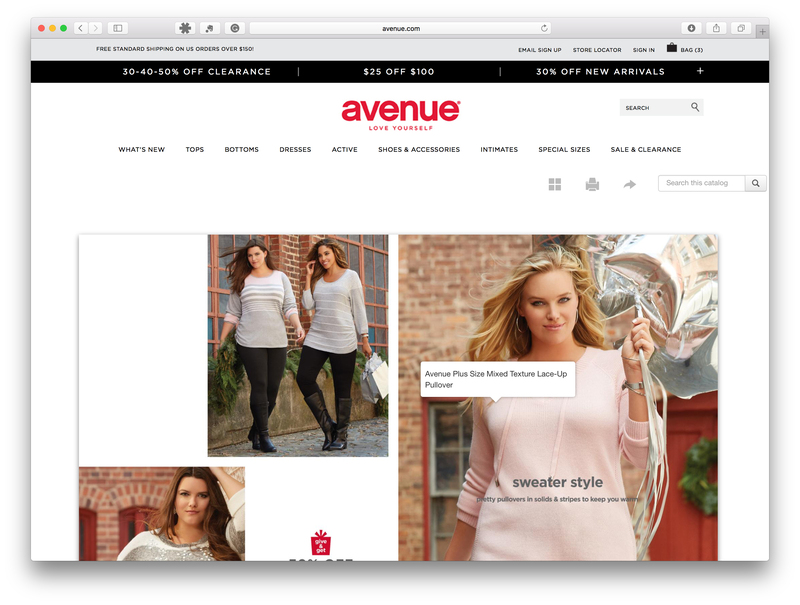 Avenue creates beautiful, shoppable catalogs with the Syndeca Platform. 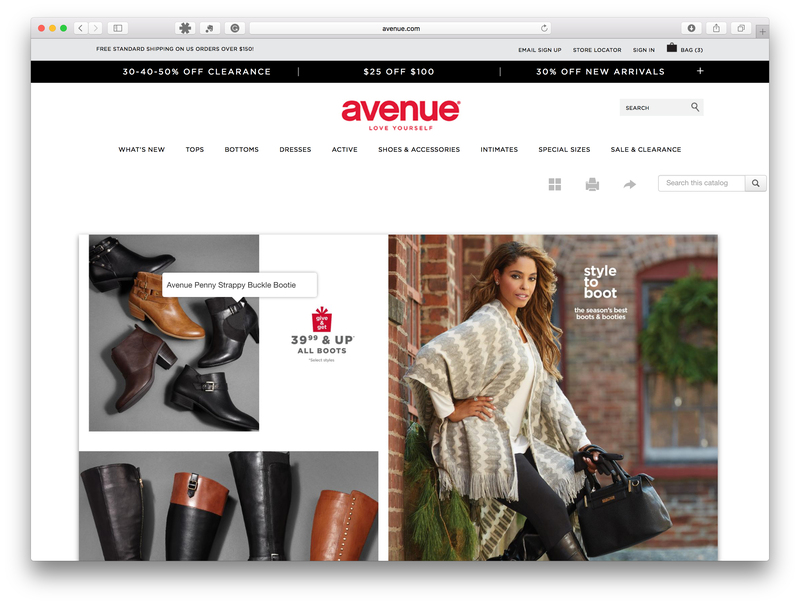 Optimized for every device and channel, the digital catalogs allow users to shop the page with a seamless path to purchase. 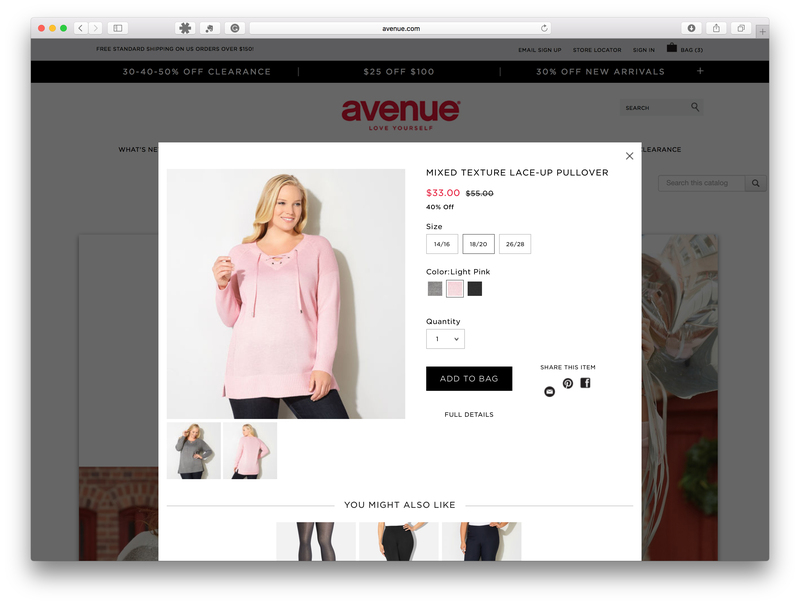 Thanks to its partnership with Syndeca, Avenue engages its customers with inspirational content in every channel — driving ecommerce and mcommerce revenue.